SensorInsight Urban Agriculture Kits provides you with detailed environmental and soil monitoring data for your Indoor or Urban farm, giving you a better understanding of your environment and how it may affect growth, disease and potential yield. SensorInsight Agriculture Sensor Kits are designed to be installed within your pot or block, run on solar power, and to immediately start collecting data about your environment. The sensors provided with the Urban Agriculture Kit give growers the tools they need to monitor and understand soil moisture and wetting patterns, irrigation run times, and local weather conditions. Our Agriculture sensor kits with integrated communication modules are configured to work with industry standard soil, weather, and environmental sensors to provide a best of breed kit which works out of the box. SensorInsight develops end-to-end IoT technology and continuous services to advance industries worldwide. Our SensorInsight Foundation product suite elevates businesses by integrating disparate data, analyzing info in real time and visualizing insights to improve decision making and process optimization. Indoor and urban farms have undergone a significant transition towards the use of data driven information. 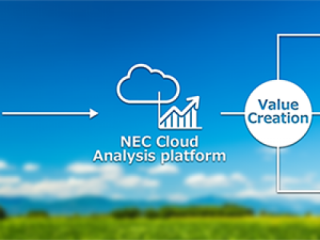 SensorInsight for Agriculture Software Platform is built from the ground up to provide a cost effective data solution for your urban agriculture environment.